Nifty and Bank Nifty turned to buy mode yesterday on EOD Ichimoku charts with supports coming around 4742 and 8763 respectively. 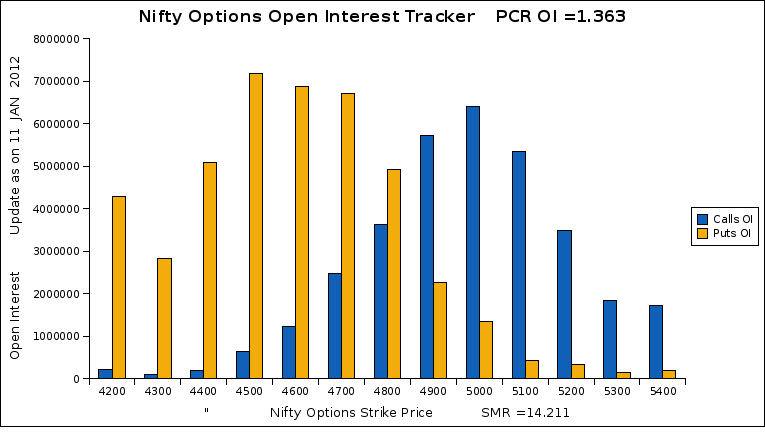 Open Interest built up visible in 4500PE, 4600PE, 4700PE indicates visible strong signs of bullishness for the trend to continue on the upper side. Hello,i am watching your web page since last some of weeks,i am also follow Ichimoku kinko hyo but the my setting no’s are diffrent from yours as you used 3,6,18 & i used traditional no’s which is 9,26,52 Plz do put throw light on this….